All of us have our financial milestones to reach in our life and we need to make appropriate investments for achieving the desired goals. According to wealth managers and also financial planners there are various asset allocation strategies and risk profiling questions which have to be considered while deriving the investment plan for any client. In one of my meetings – I was interacting with a client aged approx 50 years who is one of the partners in an organization. His query was what should be the ideal asset allocation for his age. As a thumb rule it should have been 50% equity and 50% debt but I usually differ on this point because as financial planners as well as portfolio managers also we have to consider various other points in reaching a conclusion on the ideal asset allocation. Our primary aim is to help the clients achieve the goals without undertaking undue risk. So if we see that the client has around 10 years for retirement and he does not have sufficient corpus created and also not much of an amount to be invested monthly on an immediate basis then what can be ideal asset allocation for him – will the 50% calculation enable him to reach anywhere close to his corpus. It’s a BIG NO. So shall he surrender to the situation or take calculated risk. He has to take a higher call in equity if he has to reach the goal. He can take a call of going into equity mutual funds for the first 5 years and then slowly move into debt in the next 3 years and then into liquid for the last two years. This approach towards his retirement corpus can only help to reach closer to his destination with his limited resources. Investment planning is at times very similar to one day cricket matches wherein the overs are limited to reach a particular score set by the opponent and one has to reach it without losing all the wickets. If the opponent has set a tall target what is the usual tactic undertaken by the chasing team – they usually play aggressively during the power play when the field restrictions are more and lofted strokes can be taken over the infield to get the boundaries or over boundaries with lesser probability of being getting caught on the boundary line. Same is the strategy undertaken above wherein we can classify the initial 5 years as the power play overs. As we approach the target we have to get cautious and take lesser risks and keep the scoreboard running by taking the singles and hitting occasional boundaries and rotating the strike. This is similar to the debt fund investing in the year 6 to year 8 period wherein we shall slowly move into debt from equity as we inch closer to the target year to cut down on the risk component of the would be retiree. Just as in a cricket match we have to take some element of risk to topple a big score, similar is the case where you have to get a big corpus with a limited time horizon. If we don’t take chances during the power play we may be giving the opposition a tame walkover and will be treated a meek surrender. So we have to our chances carefully and try to keep the asking rate within manageable limits so that we don’t have to play rash shots during the final overs while coming closer to the target and loose wickets in a hurry. So if we approach the investing strategy for the client who is having the Planning for Early Retirement target 10 years down the line with limited resources – we have to check his inflow outflow statement to extract if some unnecessary expenses can be reduced or controlled and thereby increase the investible surplus to some extent. Thereafter, we have to plan the investment strategy while considering a higher return in the initial 5 years while reducing it gradually over the next 3 years and then shifting totally to safer avenues to protect the accumulated corpus. Therefore, we can conclude that an investment strategy for reaching goals should be given first preference while risk profiling will surely play a supporting role to cut down on the chances of a financial loss for the customer as well as the anxiety as he will be closing down on the retirement year. Subhabrata Ghosh has written 5 articles for FPG India..
Subhabrata Ghosh is a Certified Financial Planner and is one of the partners of Gennex Consultants which is a financial services organization dealing with Life, General, Health Insurance and Portfolio Management services. Do Bad Habits Impact Your Financial Health? Humans are made for doing something great about the life. There is a need to add value in self and others life throughout which makes your life memorable. There are many things and choices which are constructive and destructive. The destructive ones are called bad habits. It is since from your childhood you are hearing that there are few things you should not do because they are not good and as you grow older, by different sources you gather enough information on why specific habits are called as bad habits? As you know these habits waste your energy as well as have very bad effects on your health and on relationships. But I would like to bring one thing to your notice that it does have a bigger impact on your financial health as well. Not only the rural & uneducated population but urban & well educated population is also affected with it. Now a day in urban areas these habits are glorified by people who blindly following western culture. I would like to narrate few of the bad habits. This is a substance which is available in different forms like snuff,Cigarettes,Cigar,Hookah, Bidi,Gutkha,Zarda Pan, Chewing tobacco, Tooth paste etc. The different products of tobacco in India and how it affects pl visit to http://www.aftcindia.org/tob_pro_india.htm as per the global adult tobacco survey (GATS) 2009-10, 36.8% adults use tobacco in India. Vary from few rupees to thousands depending on the product and the other facilities available with it. The danger of this habit is addiction and once you are addict to tobacco you may have to consume it daily or hourly also. This habit also increase your chance to fall prey to Lungs cancer, asthma, TB and many such critical illness. Considering your age @30 and life expectancy of 80 with expenses growing at the rate of 7% per year. Rs.10 spends per day make you to lose opportunity cost approx. Rs. 2.04 cr. @12% in lifetime. This also comes in many forms like beer, Wine, Spirit etc., almost 6.25 crores individuals consumes alcohol in India. The consumption of alcohol also leads in to disturbed family life. Alcoholism is also a major contributor in life threatening accidents. Alcohol addiction increases chances of Liver cirrhosis, BP, Heart attacks etc. Considering your age @30 and life expectancy of 80 with expenses growing at the rate of 7% per year. A Rs. 500 spend per week will cost a lost opportunity of approx. Rs. 13.64 cr in lifetime. Now a days eating at junk food outlets are very popular for time pass activities and are easily available everywhere with bombarding adv. on electronic media with lot of attraction of toys and special discounts. Indian Junk food like Pani Puri, Bhel,Patice,Kacchi dhabheli etc… With Pizzas and Burgers in western style. You will get either at every corner of your city. The attraction towards junk food is from toddlers to adults, with lot of spices. This leads to improper digestion, acidity problems and obesity which make you prone to critical illness like Heart attacks, Diabetes etc. With consideration of your age @30 and life expectancy of age 80 and expenses growing at the rate of 7% per year. A Rs. 500 spend per week will make you lose approx.Rs.13.64 cr in lifetime. And A Rs.100 spend per day will make you lose approx. Rs. 20.40 cr. in lifetime. Many people like to own and show the latest gazettes, any thing new comes in the market in that specific category they would like to have it. Mostly with electronic items like mobile phones. Now a day because of technology development the latest model becomes old very fast and if you want to be with latest then have to change it very fast, as fast as 3 months. This has very bad effect on your finances as the the latest model you buy will cost you high and when you sell it after few months may not fetch you not even 50% of buying cost, this has a bad effect in future and the bad part of it is happiness of having latest is very short term. Rs. 10,000/- spend on such changes per quarter for next 20 years will cost you approx. Rs.50.88 lac. This is calculated in consideration of opportunity loss of 12% with rise in cost by 7% per year. This will not only waste your money but also waste the resources for others. At the time of ordering items at hotels always plan first how much you can consume. There are some countries as well as few restaurants in India which charge you for wasting food. Save your money and the resources for other always keep in mind that there are few people in our country who do not get the food. These all bad habits will make you poor every time you spend money on them, apart from this you will have a highest chance of critical illness which will cost Rs. 1,49,00,000/- @ age 60 if you are 30 today considering 12% growth in medical expenses of Rs. 5,00,000/- today. One more alarming thing for you – With increasing life expectancy and medical advancement in India you may have to survive longer with lot of problem and illness if you do not quit the bad habits. So better quit it today save your money, reduce the risk of critical illness. Live longer Healthy and Wealthy. Investment means to hold assets (Physical/Financial) over a longer period for appreciation or for receiving income from those assets or for regular income and appreciation both.Where as savings are made for short term goals. All investments involve some risk. While someone invests with a hope of instant or short term gain, with or without proper analysis either they speculate or gamble. While you make your Financial Planning you can easily understand your past and present financial situations. Now you honestly think about your future, where you want to go. But the problem is that your future may or may not resemble the past. It’s obvious that before you invest, think about your risk tolerance, you may do it by your own or you may appoint a professional Guide to Financial Planning. It’s not guaranteed that you can make money from investments. While you understand about your savings and investments, you get financial security by managing your money prudently. Risk tolerance varies from investor to investor. There will be variability in investment return an individual is willing to take. If an investor takes too much risk may sell at a wrong time due to panic. An investor must be realistic. If you invest in stocks, bonds or Mutual Fund Investment, you must consider entire or some of your money you may lose. It’s unlike Bank Fixed Deposits and P.P.F etc. While you take risk, as a reward you may earn good return. If you know your financial goals and time horizon, you can invest carefully even by taking risk in stocks, bonds or mutual funds. You may not restrict yourself to less or no risk instruments, where you can’t avoid inflation risk, income tax, therefore, your principal will be eroded over time. “Don’t put all your eggs in one basket”-Harry Markowitz. Diversification reduces risk if returns are not perfectly correlated with each other. But over diversification is also a problem. If you see history of equity, debt and gold all have not moved up or down at the same time. Market condition is the cause while one asset class do well the other may perform average or poor. Therefore by investing in more than one asset category you can reduce the risk of losing money and your portfolio will generate a smooth return. If one asset category generates negative return the other asset category may offset. In addition, proper assert allocation is important. In case you are investing for long term, say, retirement or your child’s higher education, your financial planner will agree that you have to add at least some stock or equity related mutual funds in your portfolio. Otherwise it’ll be difficult to offset inflation. You re-balance your portfolio at a predetermined interval, may be every after 6 months or 1 year. Re-balancing will control risk. Your portfolio will perform according to market. As time goes on, your portfolio’s current value will drift away from your original target valuation as per your risk tolerance. If left without adjustment, your portfolio may be either too risky or too conservative. It’s like wheel alignment checking and balancing act of your car. If there is no such investment where you earn more than what you pay as interest on your debt, then try to pay off the balance as early as possible. Interest of credit card loans is the best examples. You may be victim of sales pitch if you don’t put your logic. Sales pitches like- guaranteed high return, income tax benefit, payment term is limited, limited time period offer, great investment opportunity etc. but there are catches which you may not notice. Keep six months income in your bank savings account to meet your emergency expenses. If you are temporarily unemployed due to sickness, change of job etc. Although you may have other investments, but if you liquidate prematurely, it might be costly for you and not only that you have to go through certain time taking procedures. This article is written by me and is my own original creation. 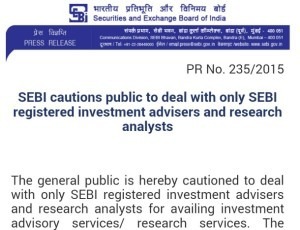 If there is any claim to the contrary, I am solely responsible and I indemnify The Financial Planner’s Guild, India (FPGI) and any other publication that carries my article. Over-insurance is as injurious to your financial health as under-insurance. A simple test to get it right is how much money your survivors require to still meet your family’s critical financial goals, like children’s education expenses, till they are up on their own feet if you are suddenly gone. Nothing like a Term Insurance Planning, do be ruthless to cancel your pointless insurance policies. Do not wait to write the perfect Will, do not think that catastrophes strike only others, do not assume that your property will pass on to your intended heirs automatically. Take out those few minutes to write your Will now. Do not have a Will format? Write to us on contactus@humfauji.com and we will send you a format as designed by us. Depending on the certainty of your earnings, you need an emergency fund equal to 3 – 6 times your monthly earnings. Keep it in a place where you can easily access it – bank FD or liquid mutual funds. Retirement should be a stress-free Golden period of your life. Work for it, save for it before-hand. Realise that your pension or savings should at least maintain your current life-style. Cater for unforeseen medical emergencies too even if your employer is likely to provide for it. Do not assume that your employer-provided pension (Govt or otherwise) will be sufficient for your entire Planning for Early Retirement– a pension can never match-up to the damaging effects of inflation in a growing economy like ours. No asset class ever performs the best all the time. Eggs have to be put in different baskets to create real wealth. Review and readjust your portfolio regularly. Remember, inflation and Best Taxation Planning Services in India are your money’s biggest enemies. Your portfolio should at least beat inflation all the time while being tax-efficient. That’s why traditionally safe investments should only comprise a small part of your investment basket since risk and returns generally have an inverse relationship. Realise where you have gone wrong in the past, find out how to avoid the same mistakes, chalk out the correct path and stick to it. STICK TO IT. Remember, an investor who knows all the answers probably does not even understand all the questions. Lastly, remain safe – if some investment seems too good to be true, it most probably is actually so.